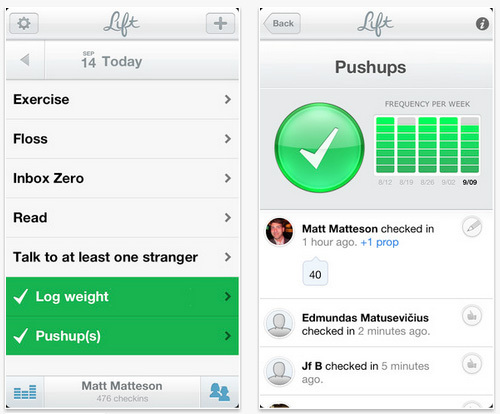 Lift: Has highly anticipated "habit forming" app been worth the wait? 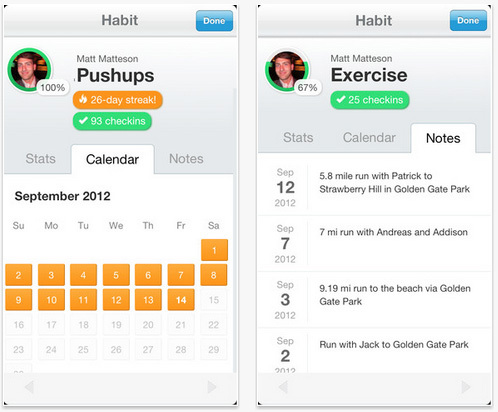 It’s been ready to launch to the public for some time now, but this summer Lift, a highly anticipated “habit forming” app came to iOS devices. If you feel you’ve heard of Lift before but you’re not sure how, why or where, then it’s probably been on your radar because it’s backed by Twitter co-founders Evan Williams and Biz Stone. However, is the productivity and life hacking app really all it’s cracked up to be? No matter how virtuous you may feel, the truth is we all have many bad habits we’d love to kick to the crub (eating badly, smoking, etc) and some brilliant ideas for tasks we’d love to replace them with (running more, taking vitamins, etc). However, it can be pretty much impossible to stop doing bad things and adopt new habits, even though you may be totally aware they’re taking up too much time, damaging your health and making you miserable. “We’re defined by routine behaviors that, whether good or bad, we perform near unconsciously throughout our days and weeks. To improve these behaviors — and therefore ourselves — we must make them conscious again. Once you’ve either added your own habit or picked one from the list it gets added to the app and you can immediately start tracking it. Now you can tap open the app and almost “check-in” to the habit (like you do with the likes of Foursquare and Facebook) to show that you’ve completed it for today and even add a note to keep track of how easy/hard it was to complete. The point of the app is that you’re consciously thinking about the habits you need to change, mix up or include into your routine and you’re then given a super easy way to track them. As you check-in to more and more habits (you can technically add as many as you like, but we’d recommend adding now more than three to begin with) you can see a little bar chart, which tracks your progress and serves up a personal report for each habit you’re trying to incorporate into your life. As we’ve seen from pretty much every health, fitness and wellbeing app out there, Lift also has a strong community element, so when you first sign up you’ll be asked to sync it up to your Twitter account and you can then see how your friends and contacts are doing too. The beauty of Lift is that it’s so easy to use, add in a confusing user interface or too many questions at the start and there’s no way users will keep coming back for more everyday. Of course there has to be a certain amount of personal motivation and determination to get the results you want, because at the end of the day you can’t expect too much from an app, it’s not going to knock that cupcake out of your hand or give you a yoga lesson. However, if you’re looking to be a little more aware and disciplined then Lift could well be the perfect companion to help you change your habits and become a bit better at life. Lift is available from iTunes now for free.